There's this one thing that I am proud of doing before everyone else, and that's dyeing my hair. Although it’s considered as a bad action 10 years ago, I really wanted to dye my hair and changed my appearance in the name of fashion. 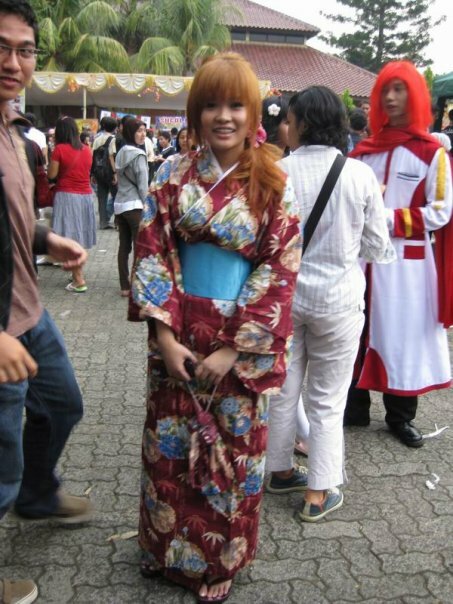 10 years ago, I was just a normal middle school student who loved Japan so much and idolized Ayumi Hamasaki and other J-singers. Yes, I wanted to look like her so bad !!! "No, it only looks good on Caucasian"
"Asians don’t suit blonde hair"
"Do you want to be alay with orange-y hair?" "You think you look good with blonde?" "you won’t pull it off"
"yea some Japanese can do it but they're so fair-skinned!" "black hair is the best"
"you don’t appreciate what God has given to you"
"you're not pretty enough to have blonde hair"
"natural is always the best"
"black hair suits you well"
Those words from people around me had affected me to not pushing outside my limit, but I believe that I could! And I was like, "whatever, I want to challenge myself!" 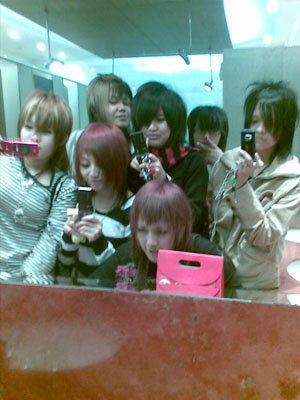 I looked so hard to find the picture but the earliest I could get was 8 years back, this was taken on 2008 with my vkei lover community friends of mine back then LOL (Kalo ga usah pakai, gimana? My mom and society never really approved for my taste in dyeing hair because in Indonesia it was seen as a rebel or naughty girl, it wasn't common to see people with colored hair back then. Talking about hair dye was even more advanced, do you even remember like 10 years ago if people used eyeliner, some would talk about them? Life has gotten better for my hair when I started blogging. I got recognized easily compared to other beauty bloggers back then because of my eccentric hair. Among tens or hundreds bloggers in the community, I could say a part of my success lies on my hair as well because clients can recognize me as they can spot "that blonde girl" from far away. And do you know all those comments that were pointed at me back then that I wouldn't pull it off? Now even my mom said I looked good with light hair! A lot of people praise my hair and it has become quite an ice breaker topic with new people. Also, I get a lot of jobs with hair brands to feature their products that's specified for colored hair! It's something that I didn't even imagine 10 years ago when I got out from my comfort zone and challenged myself for a new look. The new one has 1mm thickness that feels super light and lets me to do many activities without feeling limited! You gotta try it! 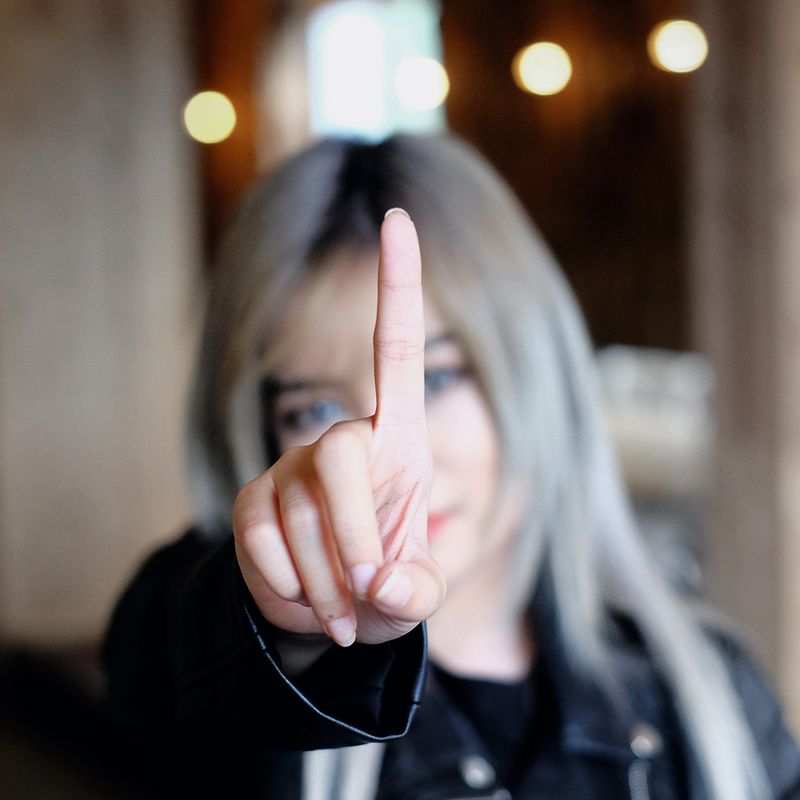 Laurier Super Slimguard would like to inspire you through hashtag #1mmForBetterYou because you are only 1mm away from your best. Laurier Super Slimguard would like to help you being more confident in life and activities through their product that has the thickness of 1mm only! Rest assured as you can manage your daily life without worrying about staining your pants thanks to 1mm solution! Share your inspiring story as well on Twitter and Instagram with hashtag #1mmForBetterYou or submit your story on 1mmforbetteryou.com ! For me, dyeing my hair is 1mm step that leads me to bigger paths. For other people, there might be other ways to change themselves into a better person. Try something different!! Maybe you can try changing your fashion style, changing your make up style, or maybe dyeing your hair, or try a new pixie cut that you never try before? Who knows that the quote of "That's one small step for a man, one giant leap for mankind" will work on your life! This is my #1mmForBetterYou story. What about yours? Let’s begin your small step, and good luck to every woman out there!